Last Sunday, Dillon and I found ourselves driving around after some errands. We had the DJI and DSLR and weren’t quite ready to head back for the day. On a whim, I looked up how far away we were from the Pope Farm Conservancy. Our friend, Dan, mentioned that he had been there not long ago and saw a beautiful field of sunflowers. So, we drove the mere ten minutes (win) away from the store and set to explore. Dillon and I had both never been before, but so glad we decided to go. Over 100 acres of land make up the conservancy. Prairie restoration projects and crops comprise most of the trails on the recessional moraines, which we learned from some knowledgeable hikers, are ridges that were formed from a glacier that paused in its movement. 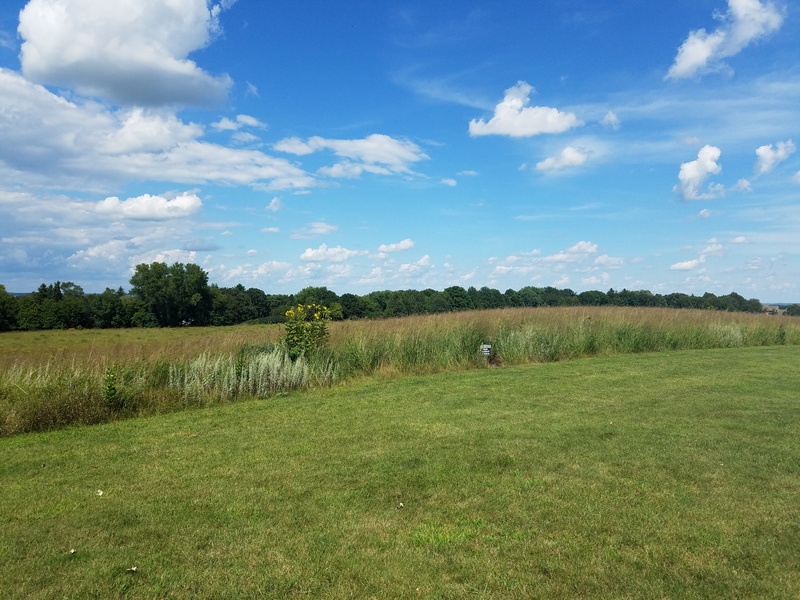 There are over seven miles of hiking, picnic areas, and just overall midwest beauty.We walked up and down the trails in the hot afternoon sun. Since we came a bit late in the season, the sunflowers had began wilting and drooping as part of their life cycle, but we were pleasantly surprised by the rest of the farm. I think my favorite part was either the prairie restoration areas or the barns surrounding the conservancy. A sense of organized chaos and disheveled delicacy surrounded us as we walked along the wildflowers. Once to the top of a hill, we were able to see the beautiful white barns simply placed on the horizon. We never intended to find great views that Sunday, but lucky we did.